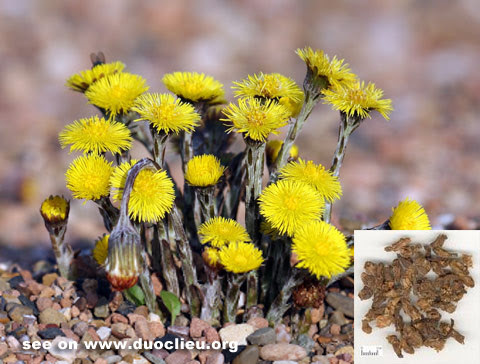 Coltsfoot flower (Kuandonghua)-Tussilago farfara L.
Botanical Name: Tussilago farfara L.
Part Used & Method for Pharmaceutical Preparations: After the plant begins to flower before winter, the flower buds are gathered and dried in the shade. Indications & Combinations: Cough. Coltsfoot flower (Kuandonghua) is used with Aster root (Ziwan). It is more powerful than Aster root (Ziwan) in stopping cough and resolving phlegm.